BERLIN (Reuters) -- Car sales in Germany rose 4 percent in October, extending the increase seen so far this year in Europe's largest auto market despite a weakening domestic economy. Registrations increased to 275,320 cars last month, driven upward by demand for SUVs and premium models, with Chrysler's Jeep and Porsche among the top-performing brands, Germany's Federal Motor Transport Authority (KBA) said on Tuesday. The month's gain extended the year-to-date increase to 3 percent or 2.56 million autos, KBA said. However, analysts cautioned that volume growth is driven by commercial registrations while private household purchases continued to falter despite rising wages and strong dealership incentives. "It's exclusively due to companies' relatively high readiness to invest that Germany's new-car market is currently at least slightly in the black," said Peter Fuss, a senior partner and automotive specialist in Ernst & Young's German practice. Economic output in Germany shrank by 0.2 percent in the second quarter and the Bundesbank has forecast little or no growth at all in the second half of the year. Foreign brands including Renault, Peugeot and Fiat outperformed the market substantially, thanks largely to a basis effects from very low sales last year, Arndt Ellinghorst, Evercore ISI's global automotive research head, said in a note to investors. 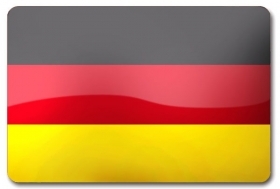 The German market is on track to grow 2.5 percent to sales of 3.02 million units this year, he said. Evercore ISI forecasts sales across the EU to grow by 4.2 percent. Germany's gain contrasts with falling sales in France, the euro zone's second-biggest market, where registrations fell 4 percent last month as consumer confidence waned. Sales improved in Italy and Spain, two markets badly hit during the previous economic recession, where registrations gained 26 percent and 9 percent respectively.